My fiancé and I recently moved into our own apartment. I wanted to add life into our new home so I thought it would be nice to have a house plant. I wanted to start with something that will be resilient to my lack of knowledge in plant care and could go on for days without watering, in case I forget. Succulents came to mind while doing more research into starter plants. 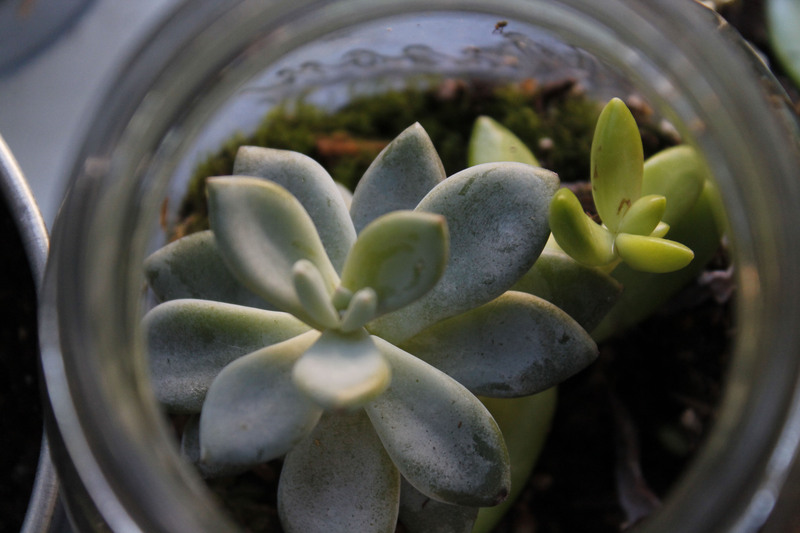 While grabbing stuff at the home improvement store, I found a mason jar with two cute succulents in it by the counter. They were on sale and the only thing I could afford with all the random expenses at the time was something like this. That tiny jar was $6 on sale. “THAT’S INSANE”– I thought. 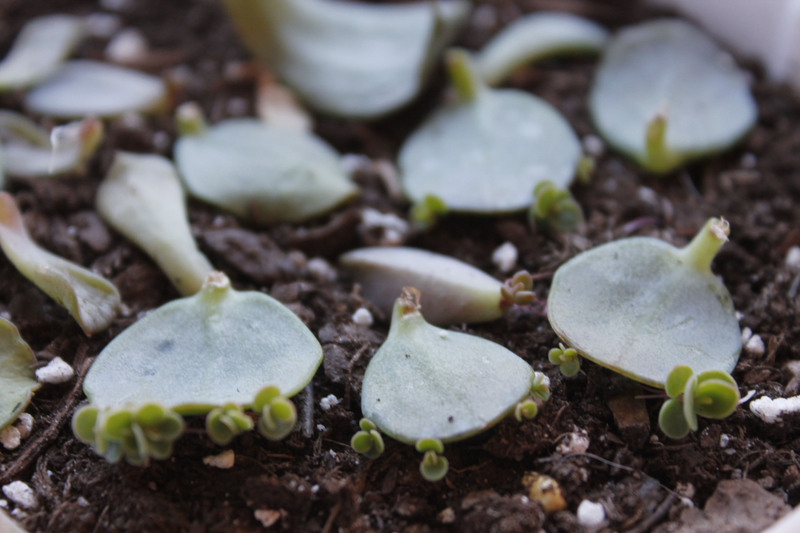 Then I found out it’s really easy to propagate them and multiply my plants without paying $6 more for another one. 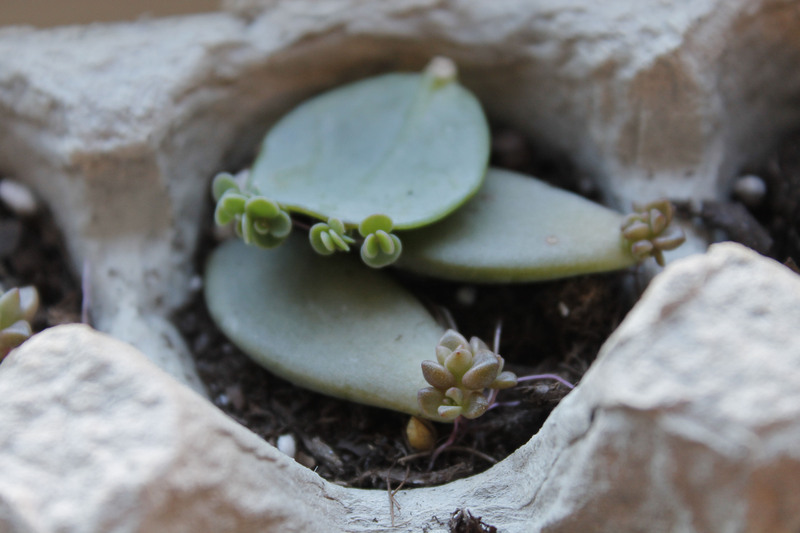 Most succulents can propagate using leaf cuttings. 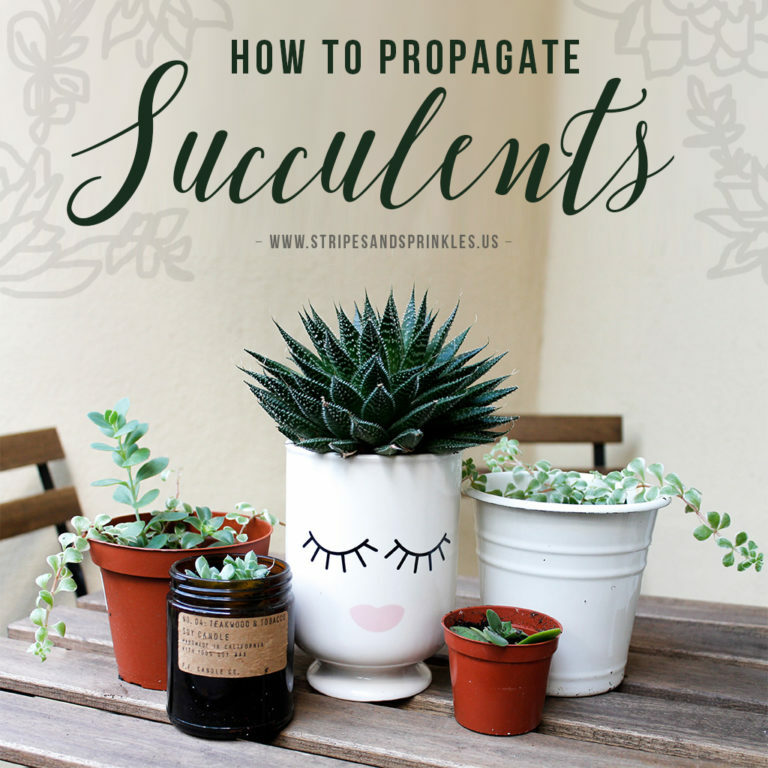 You can start with a leaf or two to see if the kind of succulent you have would work with this method. You can start out by cutting off one or two of the bottom leaves. I usually gently wiggle it around until it falls off. Make sure you get a clean cut and that you cut it closest to the stem. It will not work otherwise. You'll see below why. Lay the leaves flat and keep the soil moist (eek, I know). Use a spray bottle to evenly apply the right amount of water. 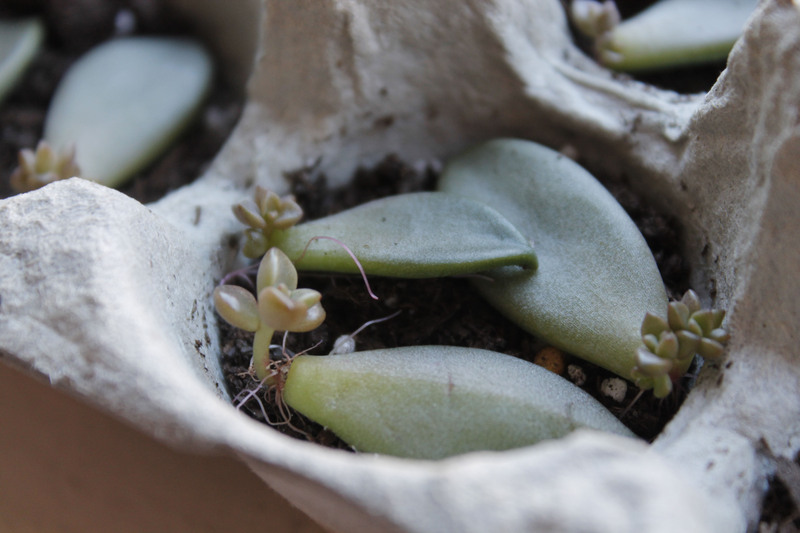 This will prevent your baby succulents from drowning. 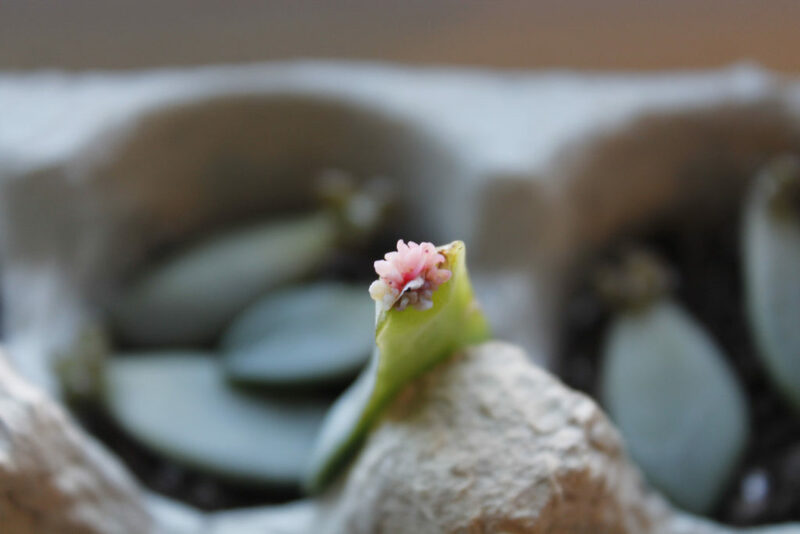 They're at a very delicate stage and by keeping the moisture to the soil, it helps make the succulent absorb what it needs without being exposed to too much water. In a few days, you'll notice some buds at the tip of the leaf where the stem used to connect. You'll notice that the ones you did not get a clean cut from, will not grow any buds because it usually grows out of where the stem used to connect. Other kinds grow the buds at the tip of the leaf so how you cut it won't matter (see below). The buds will start to show up in a week or two depending on how much sunlight or water they are exposed to. They are very delicate and cute. Watching them grow each day is so exciting. This stage is my favorite. Once the roots grow, and your plant looks big enough to be in its own pot, you can do so. They usually fall off the original leaf after a few weeks. 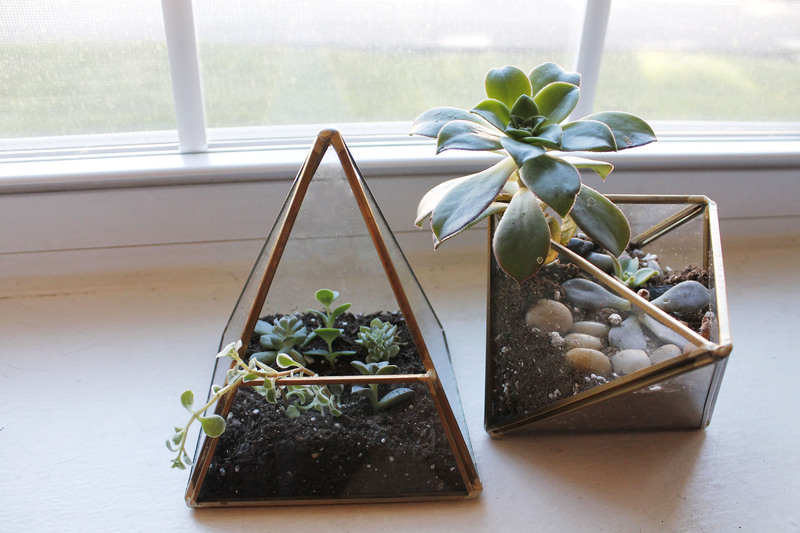 Now that you have multiple new baby succulents, you can create your own terrarium or re-pot them individually and give them as gifts. Note: When choosing a pot make sure it has a drain at the bottom for excess water to drain from. If you choose a container without drain, use pumice as soil. Succulent roots hate to sit in water so make sure you plan ahead for excess water evaporation. We have a Pinterest board for you! 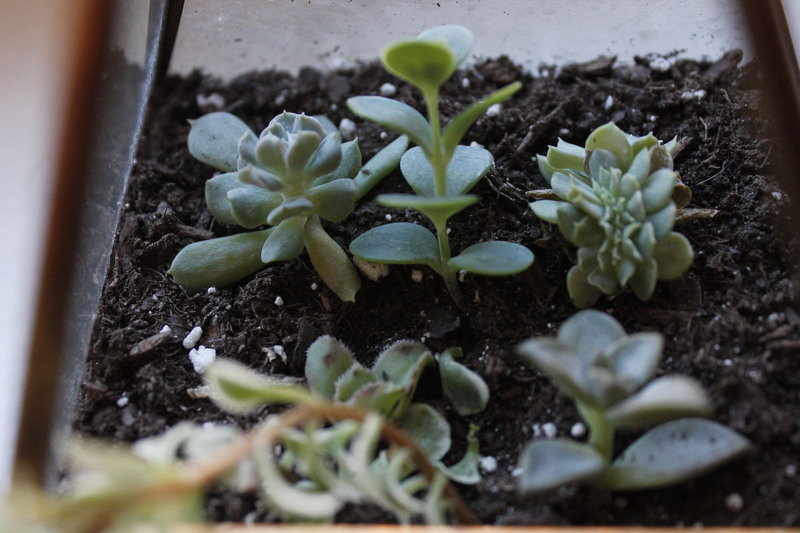 See Amanda's cute and healthy baby succulent plants, my housewarming gift to her when she moved into her new apartment. 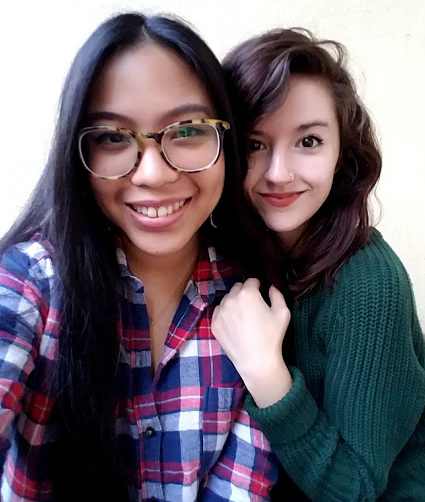 It is the face of our first pin on Pinterest! Go on and follow us. I summarized everything and turned it into a pin-able post for you. Enjoy! 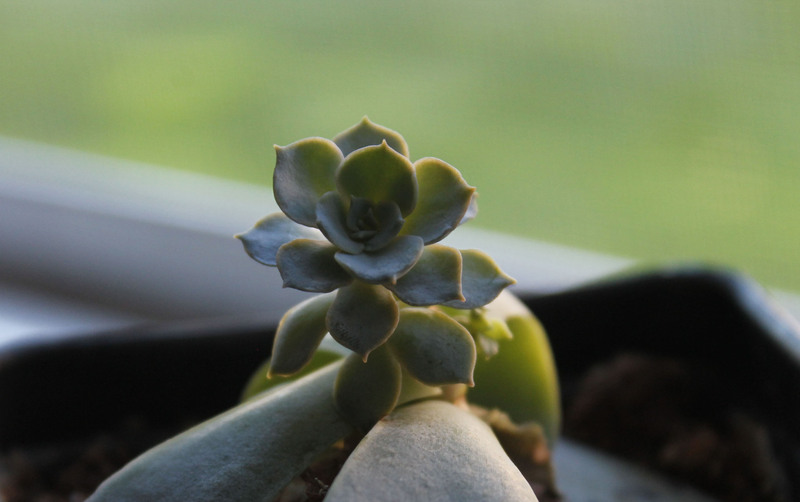 If you liked this content, let me know and I might write about basic succulent care in another post. Thanks for reading! Are you gearing up for the fall or halloween season? Check out our printables page and let the festivities begin!